One of the questions we get asked all the time is “how long will my new windows last?” This question is no surprise because installing a new set of windows is an investment in your home, and you want to make sure it’s going to pay off. You don’t want to be re-installing new windows every few years, so you need a product that will last. How long a product lasts really depends on a few things: who made it, who warrantied it, who installed it, and who will take care of it. That’s a lot of “who”, because unfortunately the quality of window, installation and support can vary greatly by company. Aluminum and Aluminum Clad: 15 – 20 years. Skylights: 10 – 20 years. Vinyl Windows: 20 – 40 years. Wood Windows : 30+ years. Of course, even a quality window can fail to last very long without the proper maintenance. Generally speaking, wood windows are going to require a lot more maintenance than vinyl windows, which are nearly maintenance free, but still require some window maintenance. If you want your windows to last a long time, you need to take care of them. We see many homeowners who are looking for new windows, but if they had just maintained their current ones, we wouldn’t be seeing them for years, or even a decade later. In Canada, we have some pretty harsh weather. The Okanagan can see scorching hot sun, torrential rainstorms, and blizzard conditions. The lower-mainland and island have to worry about moisture, and towards the prairies the winters can be down right arctic. Depending on where you live, the weather will affect how long your windows will last. It’s important to choose windows that work best for your climate, because not all windows are created equal. You can install new windows in two houses side-by-side, and their lifetimes can be drastically different. If one house is new, and the other is a retrofit, there are different challenges to ensuring the retrofit is as solid as a new build. 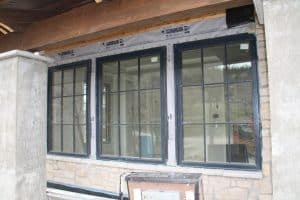 Windows in new construction are all sealed in with the latest building codes and materials, making it about as ideal a situation as you could hope for, as long as you start looking for windows at the right time. 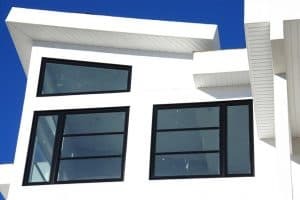 It’s an absolute must to choose a reputable company when doing a retrofit, as there may need to be some serious work done to ensure your windows last. You want a company that can identify problems like rot, structural integrity and proper framing, or your window retrofit could come with a significantly lower lifetime. Lastly, don’t just take the word of a company about their quality, ask them to back it up. We warranty all of our products, because we know they’ll last a long time. If the company isn’t willing to backup their claims with a warranty, it’s time to ask some hard questions like: why not? For questions specifically about our products, their lifetimes, and how we back them up, give us a call or stop by our showroom. We’d be glad to show you how well our products stack up to other window manufacturers.